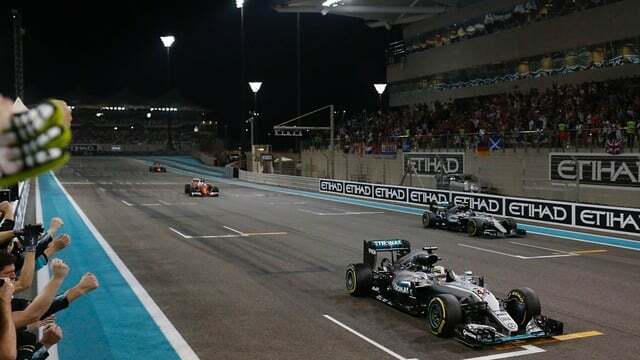 Lewis Hamilton took victory in Abu Dhabi, but despite his best efforts, it wasn’t enough to keep Nico Rosberg from securing the 2016 World Championship. With Hamilton easily out front and in control of the race, all Nico had to do was finish third, but that was by no means easy. Max Verstappen initially put himself out of the battle by spinning on the first lap and dropping to the rear of the field, but converted to a one stop strategy that saw him finish fourth. Hamilton slowed the pace of the race down as the laps counted by, hoping to drop Rosberg into the clutches of Vettel and Verstappen who were chasing him down. The Brit ignored the instructions of the team to speed things up, and so whilst the race may not have had epic overtaking like Brazil, it wound up to an incredibly tense conclusion. Meanwhile, Button retired from his final race with a mechanical failure, whilst Magnussen, Bottas and both Toro Rossos also suffered a DNF to finish the season.